Torque is the rotational force applied during the application or removal of a closure from a container. One of the largest misconceptions surrounding torque is that the tighter you apply a closure the less likely the chance the product in the container is going to leak. The truth is applying too much pressure to a closure can actually increase the chances of product leakage. For the best seal, torque should be evenly distributed throughout the closure. If too much torque is applied it can cause some points on the cap to have more pressure then others which could result in leaking. 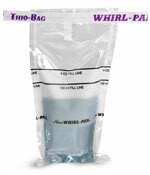 If not enough torque is applied to a closure it could cause leaking, or for the closure to come off from the container. The chart below illustrates how much torque is necessary to apply or remove closures, depending on the size and material of the closure and container. The figures are based on the minimal amount of torque needed to apply or remove a closure. Torque is expressed in inches per pound. As a general rule of thumb torque is about half of the diameter of the cap. The most accurate way to measure torque is with a torque tester. For more information regarding torque testers or to purchase one, please email us.